This is the type of underwear I like. A simple and manly banana hammock like the Hunters. In fact, one pair of underpants is missing from the box because I wore them. The Hunter is alright but Jet’s Idea is special. What’s the idea? That he took the camera from the photographer and started taking pictures of him? Who is this Jet anyway? Is Jet the model, the photographer or perhaps a bad translation from Chinese? Both sets of underwear claim they were manufactured in Vietnam though. 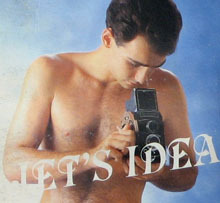 This entry was posted in Other and tagged jet's idea, underwear. Bookmark the permalink.